Many Chamas are involved in a saving scheme or another. It could be a regular Chama savings or even a fixed deposit account. What do you do, when you are just starting out and you have very little money to invest. Some Chamas opt to let the money sit in the bank as they save to accumulate a large sum or as they seek to attract more members. The good news is you don’t have to do that. You can start investing today with the little you have. How? Instead of putting your cash to sit in the bank; there is another way to save your money for high interest is through a Unit trust. This is a form of savings not issued by a bank, but is offered by investment companies such as Old Mutual. You buy a share into a large investment fund similar to a large ‘chama’ that consists of thousands of people. 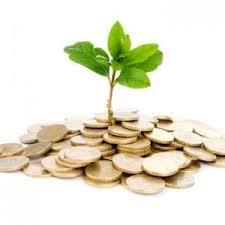 This fund invests in various short-term investments collectively in order to produce an attractive interest rate. In the past, you could not get into a unit trust savings with less than 50,000 shillings. Now, the company has made this accessible to Kenyans from all walks of life with the launch of I-invest unit trust product. With only 480/- anyone can get into this saving plan plus – you can do it in the comfort of your home or office using your mobile phone. Dumo Mbethe the Chief Operations Officer, Old Mutual gives pointers on this exciting new savings product. You recently launched the I-Invest, a mobile-based unit trust product. How in your opinion will this product make life easier for Kenyans? I-INVEST is part of Old Mutual’s strategic direction to venture into new, innovative and exciting products for our client base. It offers customers the opportunity to operate a Unit Trust account from the convenience of their mobile phones. The whole process right from registration to redeeming your funds is done from your mobile phone making it the first ‘paperless’ unit trust Product. In simple terms we are demystifying the savings and investment culture by making it easier for Kenyans to access Unit Trusts. One of the Economic Pillars of Vision 2030 is to maintain a sustained economic growth of 10% per annum and one of the priority sectors under this is giving Kenyans access to financial services. Through I-INVEST we are able to give Kenyans access to unit trusts via their mobile phone for as low as Ksh 480 and this attests to our commitment of enhancing financial inclusion. You can sign up on your mobile phone with no money upfront plus there is no set up fee involved. However it is important to note that the company charges a ledger fee of ten shillings per month. Also, I-invest give you control, convenience and choice. You can take out money from your savings through your Mpesa account at any time, thus it is a liquid asset that is easily available. Also, you can put in as much as you want, even millions plus, you can set up your savings in just 24 hours. You can also withdraw as much as you want, the only thing that may limit you is the M-pesa limitations in which case your can do a cheque to the company. The moment, this product is open to M-pesa subscribers but we are looking into engaging the other mobile money players as well. We believe that we have set up a platform giving Kenyans to embrace a savings culture, in a simple, hassle free way and earn high interest rates. This is the first unit trust product available via mobile phone and we want to help Kenyans become financially independent through saving for the future. What would you say is I-Invest stand-out features that make it different from other investment products? As an insurance firm that focuses on investments, what would you say is your main strength that keeps you ahead? As part of a larger group that has been in existence for over 165years, we are able to leverage on this experience to offer products and services that have stood the test of time. In addition we are privileged to have the expertise of the Old Mutual Asset Managers who manage all The Old Mutual funds and are world class professional asset managers with a track record of excellent returns in the Kenyan market. OMAM are also the top ranked asset managers in the country managing close to 80 Billion Shillings worth of assets. Why would anyone want to take up the I-Invest product and invest with Old Mutual? Old Mutual operations started in Kenya in the late 1920’s. In 1973, the Government of Kenya changed the country’s income legislation and abolished the substantial tax concessions on retirement annuity premiums, reduced the tax concessions on life assurance premiums and increased the taxation by non-domestic life offices. This made life assurance operations for non-domestic companies in Kenya unattractive and Old Mutual ceased writing New Business, and became a closed fund. In 1994 a strategic decision was taken to re-open Old Mutual offices in Kenya. The Life Assurance Company opened its doors to New Business in 1995 and dynamic growth was witnessed year on year thereafter. Our Vision is to be our Customers’ most trusted savings and wealth management partner in East Africa. We are bound together by our Group values of Pushing Beyond Boundaries, Accountability, Respect and Integrity. Old Mutual Kenya is part of the Old Mutual Group, an international long-term savings, protection and investment Group which is present in 33 countries across the world with over 15 million customers, and over 55,000 employees. The Group provides life assurance, asset management, banking and general insurance in Africa, Europe, the Americas and Asia and has £260.7bn worth funds under management for the year ended 31st December 2011.